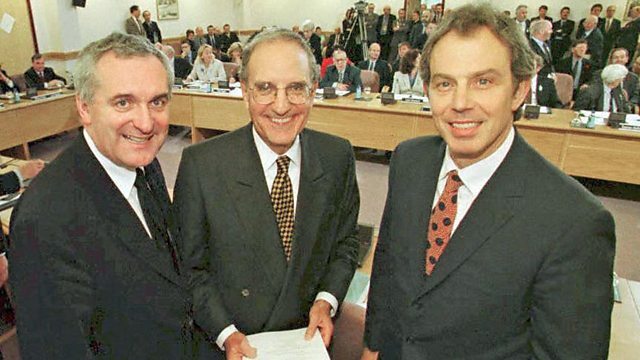 At Easter in 1998 a historic deal brought peace to Northern Ireland, ending decades of violence and bomb attacks. In 1998, the political parties in Northern Ireland reached a peace agreement that ended decades of war. But the Good Friday Agreement, as it became known, was only reached after days of frantic last-minute negotiations. In 2012, Louise Hidalgo spoke to Paul Murphy, the junior minister for Northern Ireland at the time.